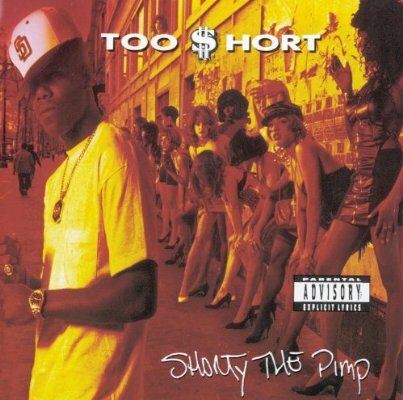 There are so many memorable verses from one of my favorite tracks from Too Short’s 1992 CD “Shorty The Pimp”. But my favorite MOMENT is when I was sitting in my mom’s living room ( 81st Ave, Oakland, CA) I was home from college and my late grandmother was visiting. STP was blaring from the speakers amongst all the family banter and that was going on. Next thing I know my late grandma says “record that fa’ me” (CD to cassette tape for the youngins). Side eyes wasn’t even the word to describe my reaction as I thought Too Short was for my ears only. However, she was a Sagittarian. I’m a FS too. But there was just something weird about KNOWING that my Arkansas born/Oakland raised grandmother understood and enjoyed SOME of Too Short’s music and lyrics. As I got older I understood alright – admiration vs. sexualization vs. sexual admiration are three distinct things. *insert an LOL* And I didn’t get that from Too Short. *insert another LOL* Yep, this was a tale, a freaky tale… Enjoy!